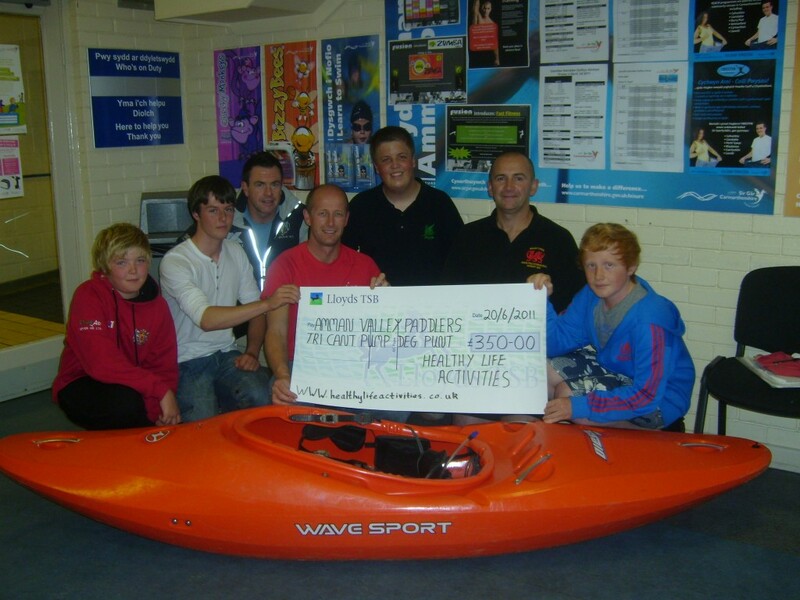 Amman Valley Paddlers were given a donation of £350 in 2011 for the assistance they provided at the Llanelli Sprint Triathlon. The donation will be used by the club to purchase some new equipment. The Amman Valley Paddlers is now in it’s eleventh year. They are a small club with about thirty members. They meet on a Monday night from 9-10pm. There is a small group of coaches who give up a lot of their free time to teach in the pool, on the sea and on the river. During the summer the club go to the beach for coastal paddles or to Kayak surf and then, over the Winter, they run river sessions. Club officer Jeremy Williams said; “As with most voluntary clubs, raising money to buy equipment and to pay pool fees is always a priority. Water Safety for events such as Llanelli Triathlon and the Teifi Tour are ways that we can raise such funds”.